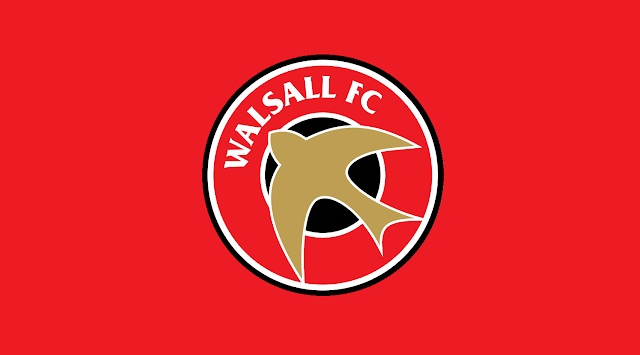 Walsall goalkeeper Joe Slinn, and striker Cameron Peters are currently out on loan in search of first-team football. Find out how they got on in their most recent outings, below. Slinn, who joined club on a free transfer from Port Vale over the summer, is enjoying a season-long loan with local Evo-Stik Southern Premier Central side Rushall Olympic, whilst Peters is in the early stages of an initial three-month stay with Evo-Stik Southern Division One Central side, Bromsgrove Sporting. Both Slinn, and Peters played a part for their respective sides but were both on the end of defeats as their temporary teams were unable to secure victory. 19-year-old Slinn, who spent a spell on loan with the Pics during his time with Port Vale, was once again named among the starters as Rushall took on Royston Town in their latest league outing. Sadly for Slinn he was unable to secure a clean sheet as the Pics fell to a disappointing three-nil defeat at Dales Lane. Goals from Vance Bola (71', & 79'), and Rohdell Gordon (86') saw Royston take advantage of a poor Pics performance to take all three points. Academy product Cameron Peters had to make do with a place on the bench as Bromsgrove Sporting took on Alvechurch in the Preliminary Round of the Emirates FA Cup. The match was a high-scoring affair with Sporting ultimately slipping to defeat as goals from Josh Quaynor (7'), Richard Gregory PEN (17'), and Nathan Hayward (88') were not enough to prevent their hosts from reaching the next round as goals from Josh March (8'), Luke Yates (11'), Tom Turton PENS (66' & 78'), saw their side through to the next stage. Peters wasn't introduces into the action until the 83rd minute and had very little opportunity to make an impact as his run of three goals in two games came to an end.